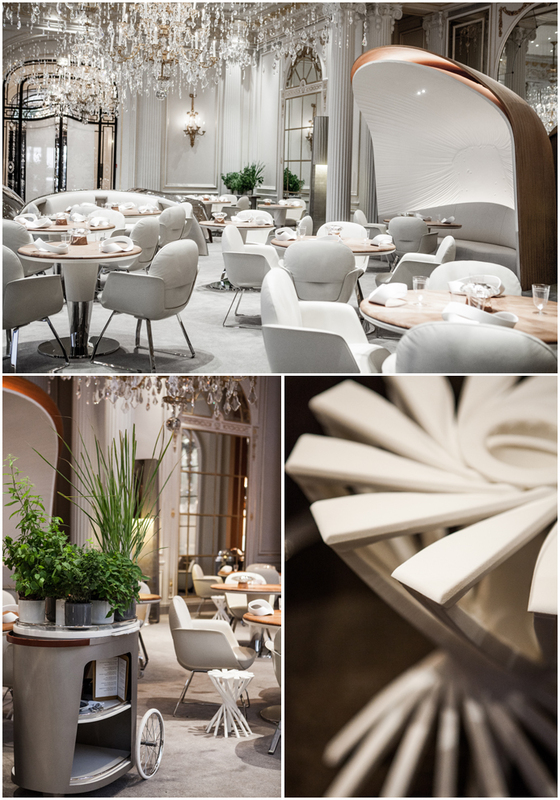 At the Plaza Athenée, less is more as Alain Ducasse reinvents himself! 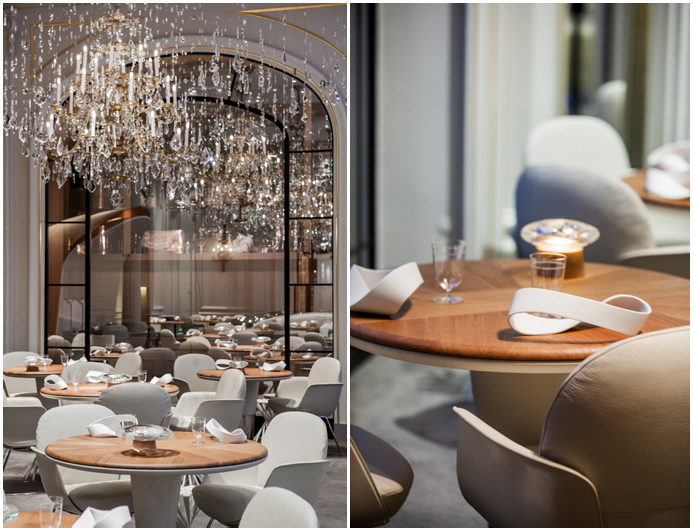 Discover this culinary top spot, perfectly orchestrated down to the last details. Inspired by nature, the dishes invented by this top chef are based on how these seasonal products are fabricated, from their content to their form. Here, a Japanese spoon accompanies black rice seafood, or there, a frosted Saint Louis glass tinged with the pigments of carrot, celery and cucumber juice. Here, a wood spatula edged with organic butter, and there a vegetable garden of aromatic herbs scattered in green strands. 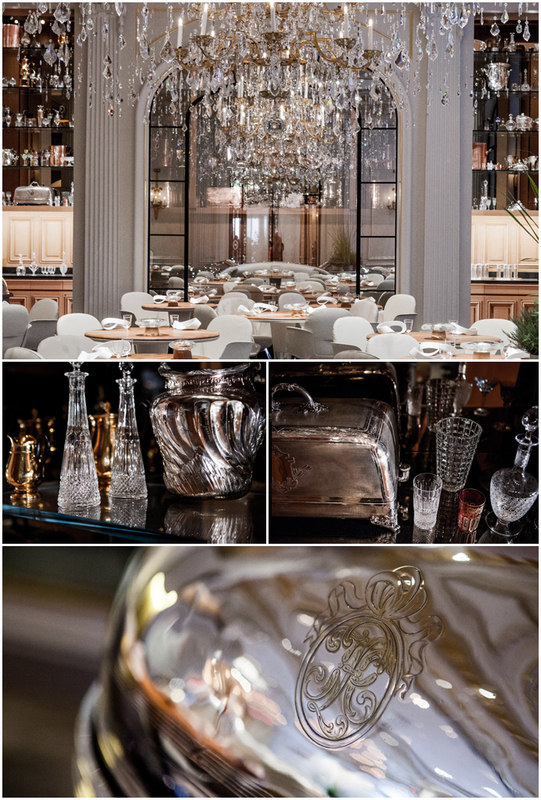 The showstopper is in the aesthetics, in this choreography of detail that sets the dinner scene. 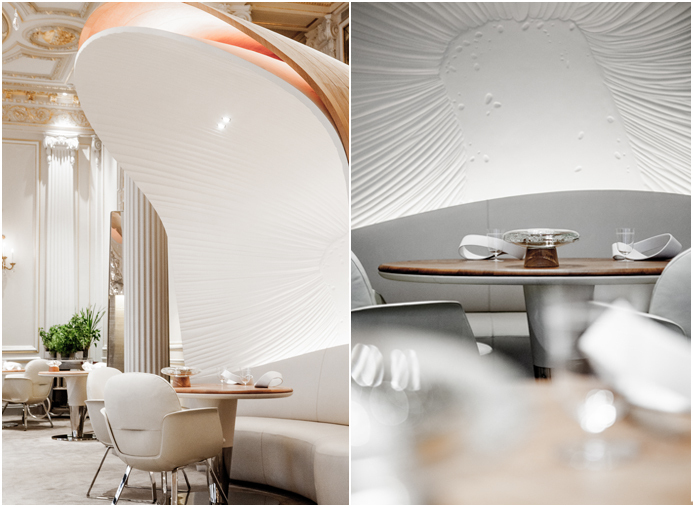 Alluding to the sea, and the hull of fishing boats, a giant alcove frees itself in this space like an indoor canopy, beneath this curved oak case, it sports an immaculate second skin, which covers a solo stool. The captain’s chair, you might say. 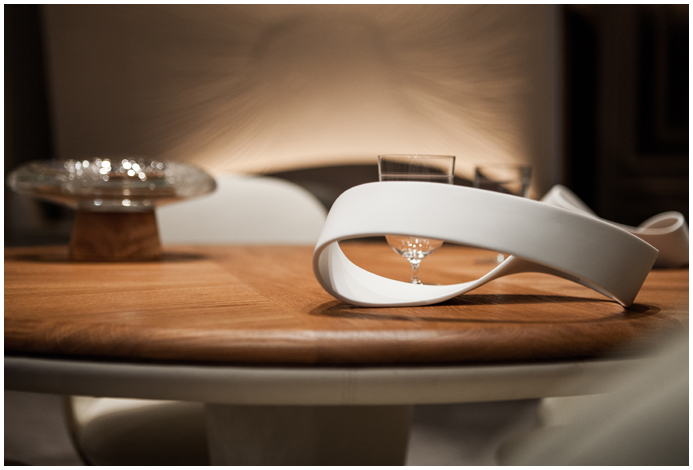 Positioned on the table, a thick glass candleholder – hand-blown in Murano by glass magician, Aristide Najean – comes away like a lantern. A glowing object that keeps you on course during a storm of delicious tastes and emotions. 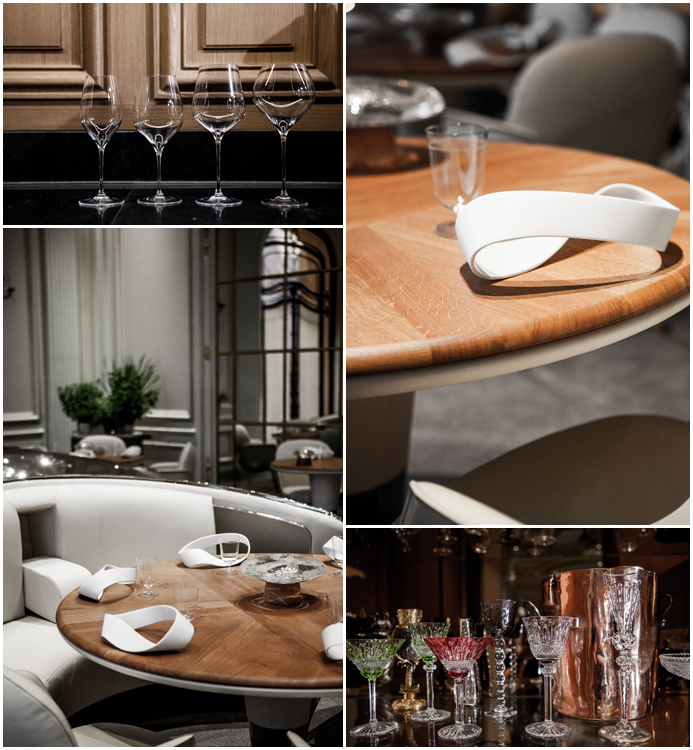 Understated, slow, suspended; the atmosphere acts as the ideal setting to serve a boletus tart and warm lobster or scallops accompanied by brioche or cauliflower with comté cheese. 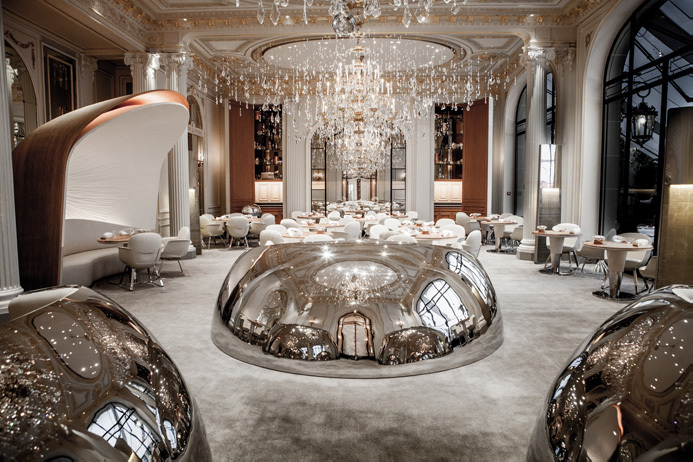 At the Plaza Athénée, exception has a natural face, and hands that respect it. Less really is more.